I am a little behind in the Running Man headlines department, mostly because of my own sheer laziness and catching up on WIN (and all of the dramas ending the last two weeks have not helped either). So sorry for the delay, without further adieux here are the last two weeks of Running Man news. Cheers! This week in Running Man Headlines…. Haha made a stop at YG to eat at their famous cafeteria…without an invitation. Haroro dropped in with Jang Gi Ha and Faces to grab some food as part of a filming for the variety show Infinity Challenge. 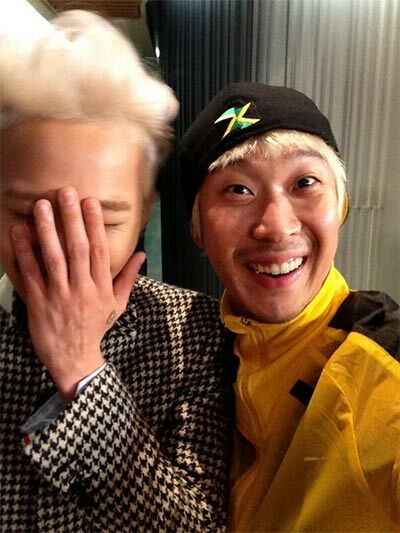 While loitering around YG Haha took a selca with G-Dragon (who was apparently so embarrassed by his hyung’s behavior he hid his face in the picture). Fan’s requested for Haha to upload the photo, which he promptly did. G-Dragon, in retaliation, uploaded the following picture that shows Haha, Faces, and Jang Gi Ha shamefully eating their food. 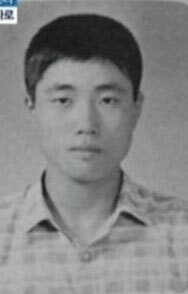 In the last week Yoo Jae Suk’s year book photo has been making the rounds on SNS. 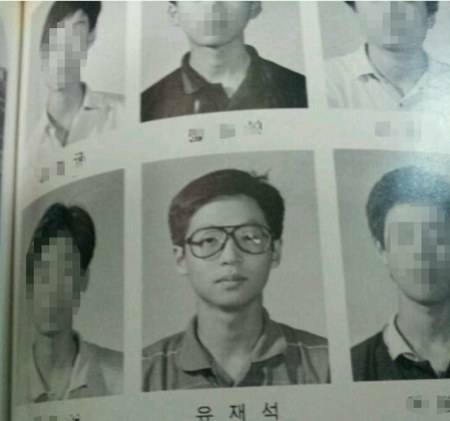 A picture, titled “My Uncle’s Yearbook with Yoo Jae Suk” shows the nation’s MC sporting a geeky look, complete with some killer glasses. Oh grasshopper, how just the sight of you entertains me! In other news, fan taken pics have been floating around showing IU and Park Myung Soo filming for Running Man. The duo will guest star in episode 168. 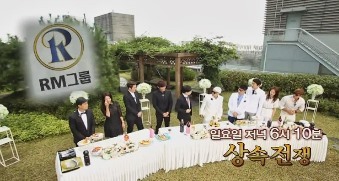 IU has been a guest on RM before, however this will be Park Myung Soo’s first time as a guest. For those who are not familiar with Park Myung Soo, he is a co-host on the super popular variety show Infinity Challenge (alongside Haha and Yoo Jae Suk). Myung Soo is known for his Old Devil character on the show. In addition to Infinity Challenge, Myung Soo also co-hosts the show Happy Together with Yoo Jae Suk. So, they are pretty much BFFs. 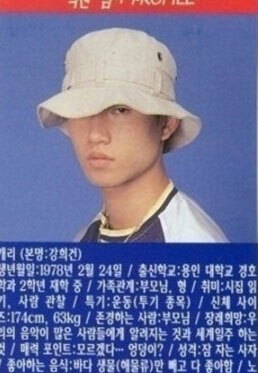 As a fan of all three shows I cannot wait to see him on Running Man! Mnet has a star of the week feature where they highlight a celebrity (chosen by voters) with articles and pictures. It was peaceful Gary’s turn two weeks ago. 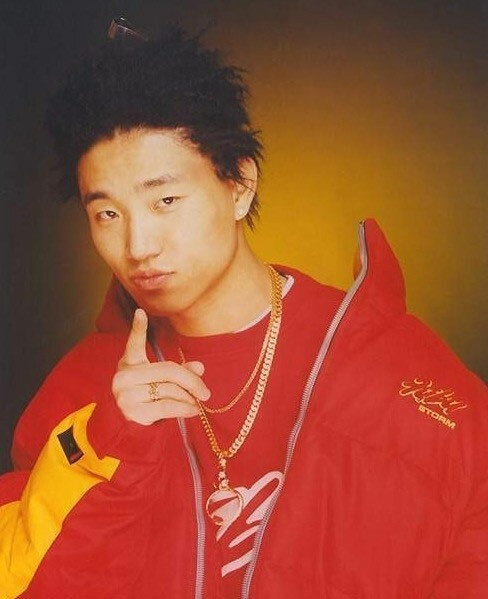 I enjoyed looking at all of the back in the day pics of Gary, so I thought I would share. Cheers!